British star Jane Seymour reveals what she’s passionate about, what it’s like to be a mum of six and why she’s proud of her wrinkles. She has written several self-help books and collaborated on children’s books with her soon to be ex-husband. She has heterochromia – her eyes are different colours. She finished sixth on Dancing with the Stars. She won a Golden Globe for her appearance in East of Eden. Her house was used for recording British rock band, The Cure’s Wild Mood Swings album. Want to read the full article? Find out the full story? 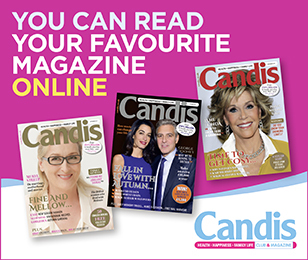 If you’re a Candis member click to read the June issue of the magazine – and this article in full – now in our digital edition.